Indulge in the beachside lifestyle with your pet right by your side at Springs at Six Mile Cypress. 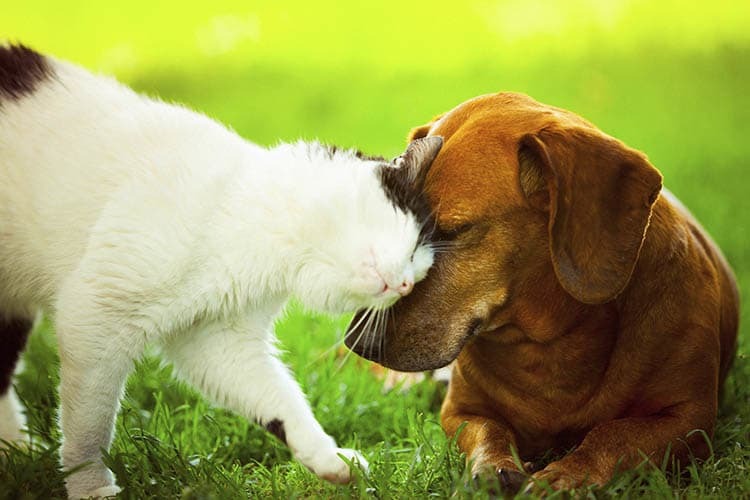 We are proud to be a pet-friendly community. That’s why in addition to cats and dogs, we welcome birds, reptiles, fresh and saltwater fish, small furry animals, and most exotic pets to our luxury townhome-style apartments. When you and your dog aren’t relaxing in your studio, one, two, or three bedroom apartment, check out the two on-site off-leash dog parks for some exercise. After a day of playing together on Algiers Beach, stop by the pet spa station for a quick bath. As an added feature, our community has partnered with PooPrints, a DNA-based pet waste management company, to maintain our lush landscaping. Contact Springs at Six Mile Cypress for more information about our pet policy or to set up your personalized tour of our pet-friendly apartments for rent in Fort Myers, Florida.